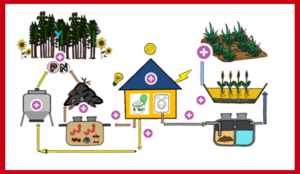 Wastewater is a key feature of public concern, especially with increased issues related to water availability, sanitation, health and sustainability. 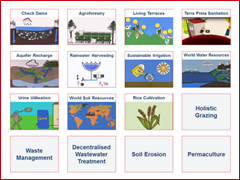 Inappropriate use and inadequate management of wastewater pose a huge threat to social welfare and ecosystems. 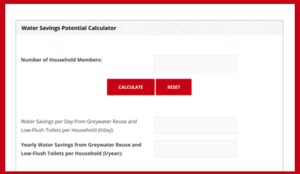 United Nations Sustainable Development Goals aim to ensure access to adequate and equitable sanitation and hygiene for all by 2030 while expanding recycling and safe reuse of water all around the world (Objective 6). 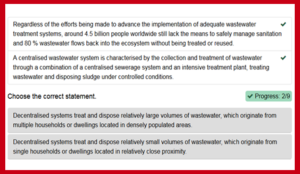 However, as reported by WHO, around 4.5 billion people still lack access to safely managed sanitation services and 80% of wastewater flows back into the ecosystem without being reused or treated. Numerous regions of the world demonstrate a dominantly rural or peri-urban character. 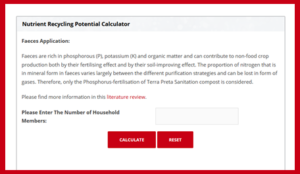 Sanitation data in rural communities reveal serious health, hygiene, economic and social implications that highlight the dire need to develop cost effective, more efficient and easy to maintain wastewater treatment technologies, which suit regional realities. 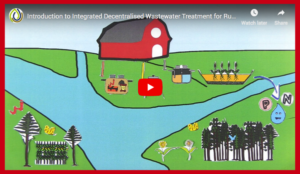 Decentralised wastewater systems treat and dispose relatively small volumes of wastewater, originating from single households or dwellings located in relatively close proximity with focus on the extraction of nutrients and energy, and reuse of wastewater streams. 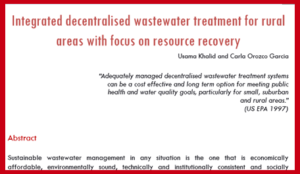 Decentralisation appears as a logical and sustainable solution to tackle wastewater management issues in rural and peri-urban areas. 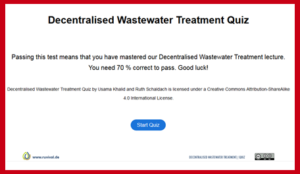 Numerous approaches for decentralised collection, treatment, and dispersal/reuse of wastewater exist, but there is no fixed or universal solution to the issue, making it necessary to proceed on a case-by-case basis.